The Indiana Celebration of Women in Computing (InWIC) conference is an ACM Celebrations Event that provides a low cost, regionally-tailored, small conference for women in computing. CRA-W/CDC Distinguished Lecture Series is proud to support this year's INWIC by providing the keynote speakers. Are you planning to attend the next Tapia conference? Would you like to receive mentoring and career guidance from successful senior women in your field? Attend CRA-W/CDC's Mentoring Tracks at Tapia. The 2016 CRA-W/CDC CADENS Broadening Participation in Visualization (BPViz’16) Workshop will be held August 3-4, 2016. The goal of the workshop is to cross boundaries between STEM and non-STEM domains of scientists with data visualization needs, to facilitate collaborations and broaden participation in visualization on all levels: academic, research and industry. NYCWiC 2016, the 4th ACM-W New York Celebration of Women in Computing, will be held April 8-9, 2016. The goal of NYCWiC is to encourage women to complete their studies in computing by exploring careers and meeting women leaders from business, industry, and academia. 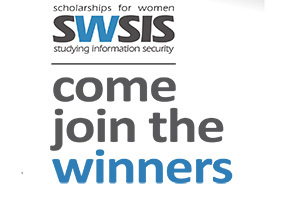 The WiCyS initiative was launched in 2013. Since then, with support from various industry, government and academic partners, WiCyS has become a continuing effort to recruit, retain and advance women in cybersecurity. It brings together women (students/faculty/researchers/professionals) in cybersecurity from academia, research and industry for sharing of knowledge/experience, networking and mentoring.